Maybe you woke up one morning and realized that it’s time for a change—not in your job or your love life, but in your bedroom, which has probably been in the same state for years. But then you remember why it’s never changed: you think renewing the look is too expensive. If that’s how it played out in your head, then you’ve got to be more positive. Whether it’s a new mattress with embellishments or the right mirror above the headboard, you have plenty of low-cost bedroom makeover options. 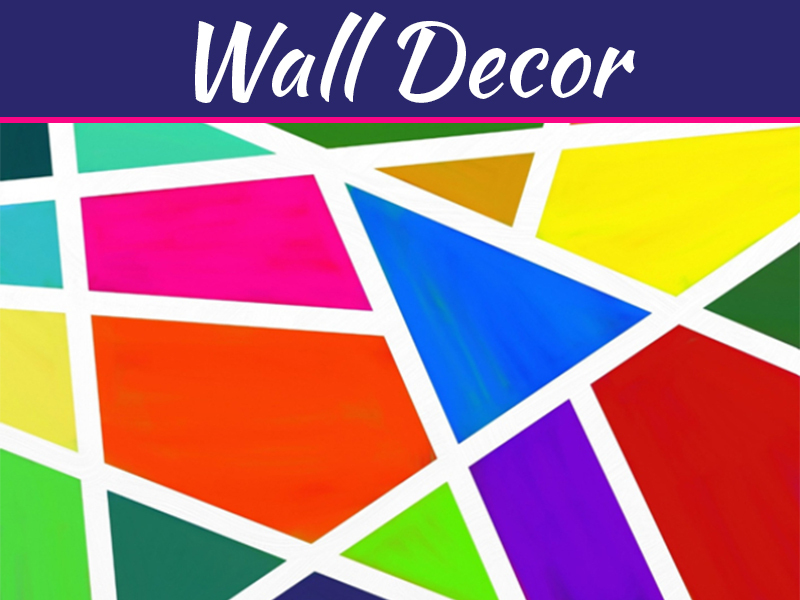 A blank wall can be dull and boring, but it’s also a blank canvas full of opportunities. 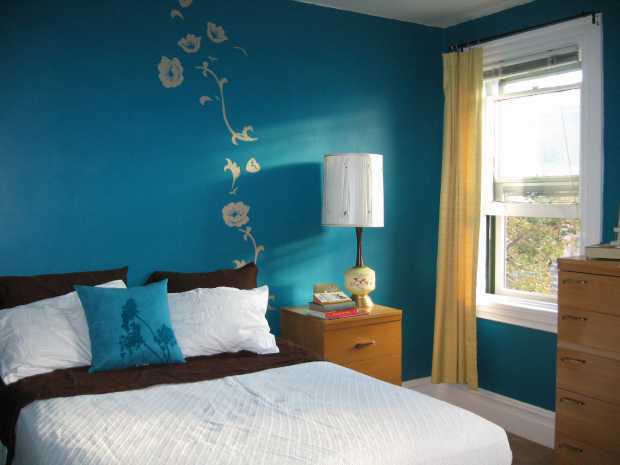 A well-chosen and well-placed wall decal can make the difference between drab and fab. You can get one from a store or online catalog, or you can get one custom-made for your space. Consider choosing a quote from a favorite book, or lyrics from a song you like. You can get decals of flowers, animals or stars. If you’re remodeling a child’s bedroom, you can even plaster his or her favorite superhero on the wall. The possibilities are limited only by your imagination. 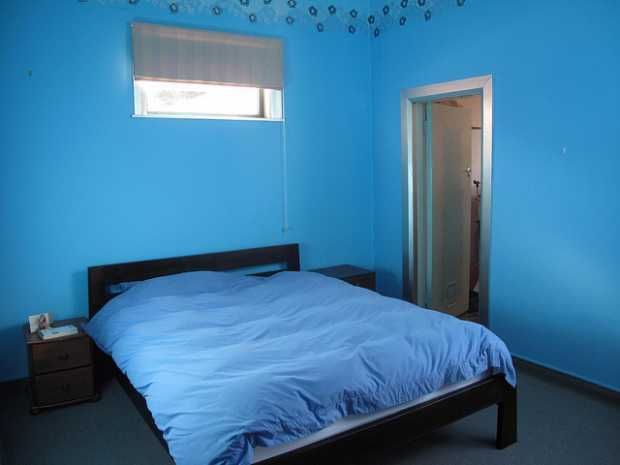 You can also change the look of your bedroom with some handy DIY bedroom designs. With help from a friend or two, along with some metallic measuring tape, wooden beams, curtain rods, and screws, you can make a frame on which you can hang the curtains, drapes or fabric of your choice. Not only is it an eye-catching installation, but it’s also a good way to get some additional privacy should you need it. This isn’t a minor project, and will likely take a few weeks of preparation and maybe a weekend’s worth of actual work, but the result will be worth it, and far more affordable than a total renovation. They say that clothes make the man. 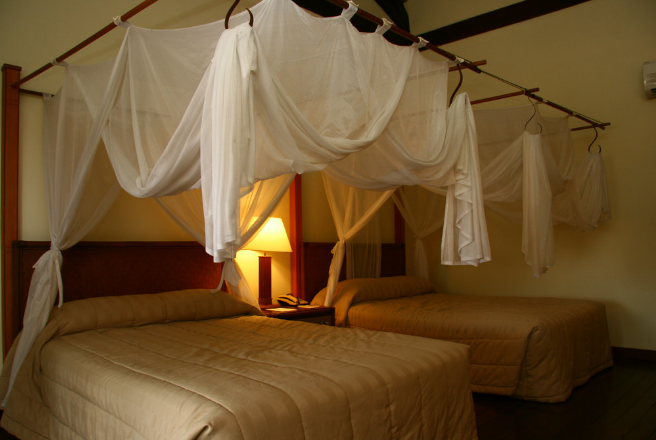 In a similar way, beddings and cushions make the bed. If you have a plain, neutral-colored bedroom palate, you can make it pop with some judiciously selected throw pillows, blankets or duvets. You can coordinate the pillows and bedclothes using complementary colors, alternating between solid-colored and patterned fabrics. Play with contrasting cloth textures as well for an interesting effect. If you or a friend can knit or crochet, consider making your own handmade pieces for an even more economical bedroom redesign project. A lot of homeowners think that you can have blinds or curtains on your windows, and nothing else. But actually, there’s a third option: valances. You can think of them as short skirts or longish fringes for your windows. 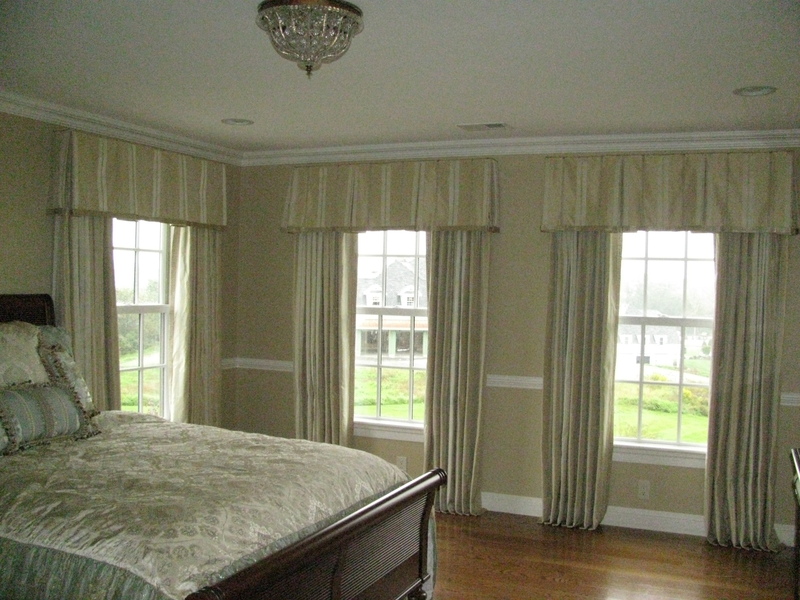 The great thing about valances is that they cover up curtain fixtures, and they can be used in combination with blinds or curtains. If you’ve got old curtains that you never use because of stains near the bottom, just cut them short and sew a new hem, et voila! You have yourself a lovely new set of valances. Another idea: find a fabric pattern that matches either your pillowcases or your bed sheets, and then cut the fabric into valances. 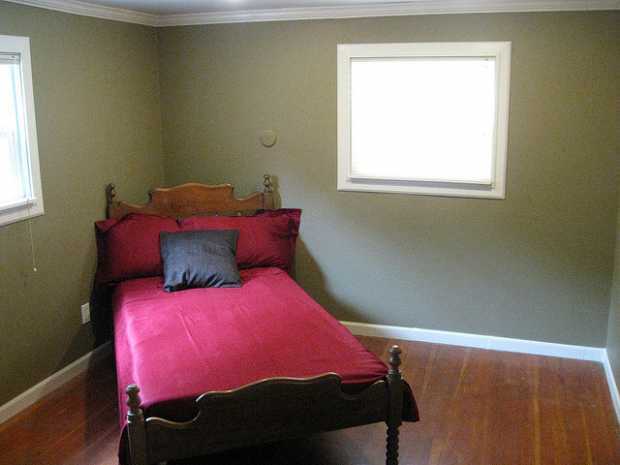 Having the right set of matching accents on your windows and bed will create a great combination. Go for a bit of a shift. 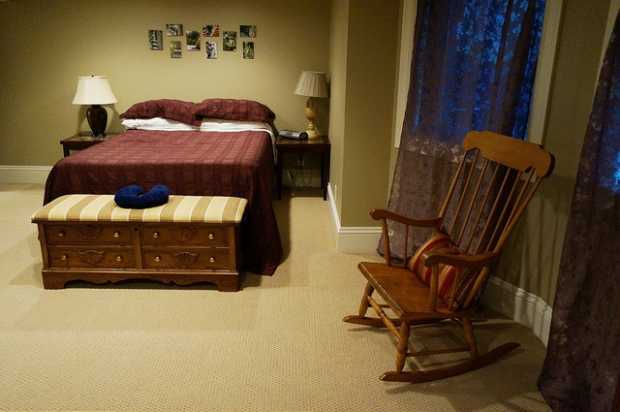 Start with repositioning your bed into a new angle, and rearrange your other furnishings accordingly around it. 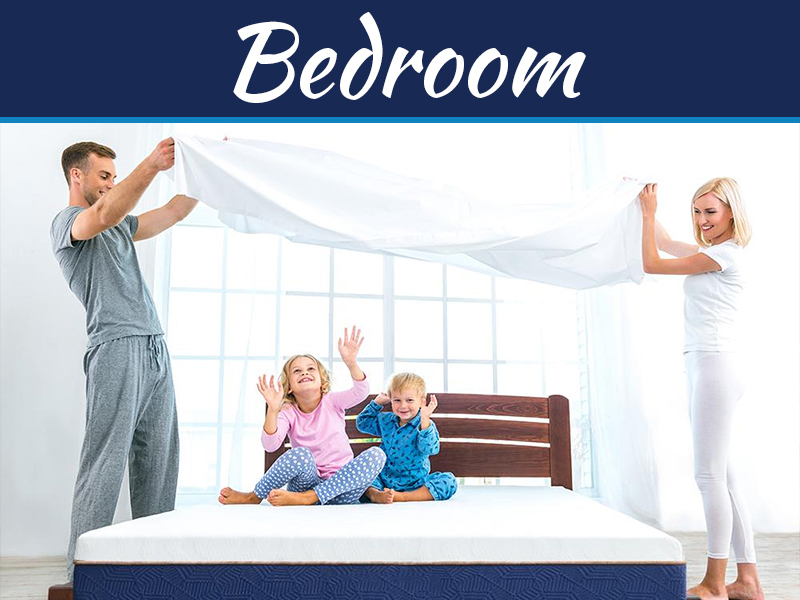 Every few months, you can change the orientation of your bed, giving your room a whole new look each time; with literally zero additions to the furnishings. You’d be surprised at how far a little change in perspective can do to your home décor. 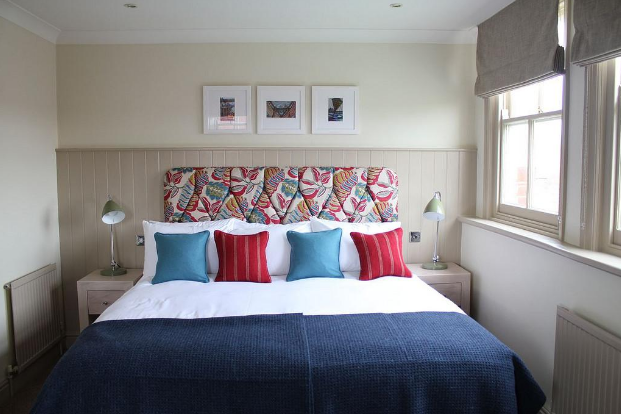 If your bed’s too big for this strategy but you’re looking to replace it anyway, you’ll find plenty of stores with small bedroom furniture in Darwin, London, New York or any other major city. When you want to overhaul your bedroom, you don’t actually have to add anything. Sometimes, actually going for less results in an effective but thrifty bedroom renovation. By removing excess furniture, books, chairs, and other types of junk, you can free up a lot of space, giving your bedroom a minimalist feel. The feeling of calm can be enhanced with cool colors, like blue, green or white. Plain walls, accented at the top and bottom with decals and baseboards, can make the space even more oddly satisfying. 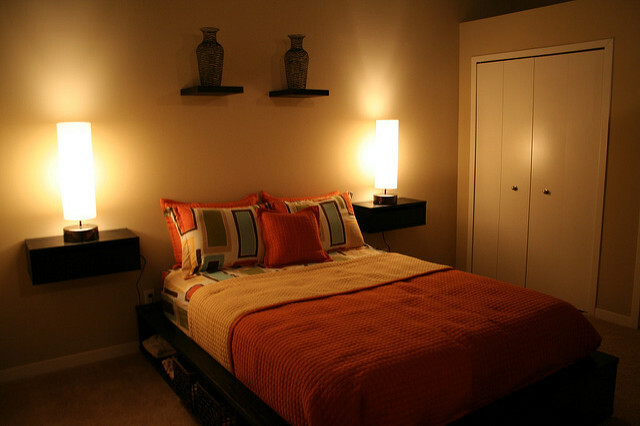 And if you want to create more vertical space, consider getting a shorter bed or a thinner mattress. Another simple option is to go for wall-mounted shelves and drawers. 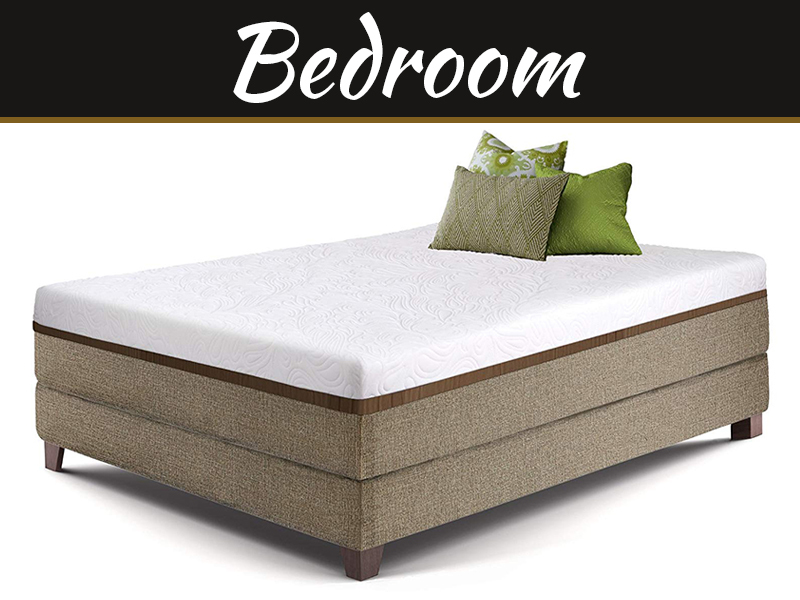 Having drawers installed on either side of your bed instead of nightstands can free up valuable floor space. The right shelving can also let you maximize your overhead space; instead of having it bare, you can use it as a place to display tasteful accent pieces. If you’re a bookworm, you can also consider putting mounted bookshelves within reach, close enough for late-night reading. A setup like that can also be useful for those who keep a diary or dream journal. If you’ve ever been to a flea market or yard sale, you may find some old furniture there that the previous owner had to get rid of for one reason or another. Keep an eye out for hidden gems, ones that still have some use as long as they’re fixed up. An old chest or foot locker, for example, can be re-varnished, upholstered, and re-fitted with new handles to make a stylish ottoman-like chest to put at the foot of your bed. Old chairs that aren’t badly damaged can also be salvaged, with a fresh coat of lacquer to give them a new lease on life. A lot of people think that the creative process works best without limits. But really, the creative mind can also be stirred when there are limits and restrictions in place. Working within a budget is not only practical, but it also forces you to think outside the box in unexpected ways; you can surprise yourself with how many bedroom furniture and design options you find even when you’re trying to save money. A big budget may be nice, but by working within a financial limitation, you can stretch your imagination and learn how to redesign the thrifty way.